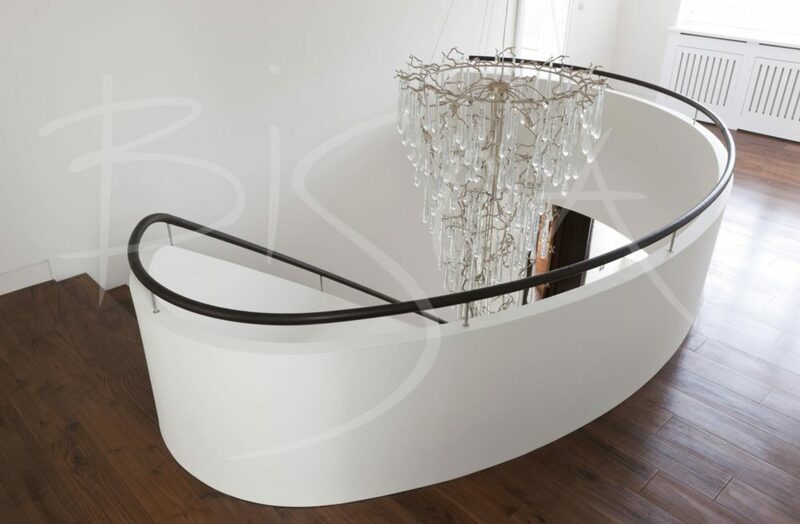 Our brief was to design a staircase for a property development in London. The development in Telegraph Hill, refurbished and extended a 1930s house. 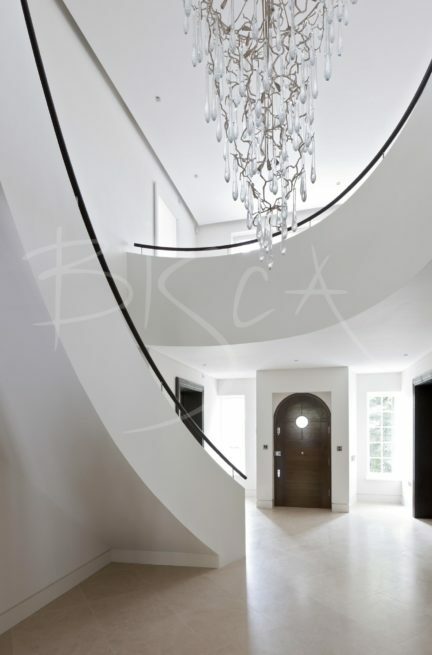 This property was one of four in the row – all with Bisca staircase commissions. The sweeping walnut stair design flows from ground floor to first floor landing. 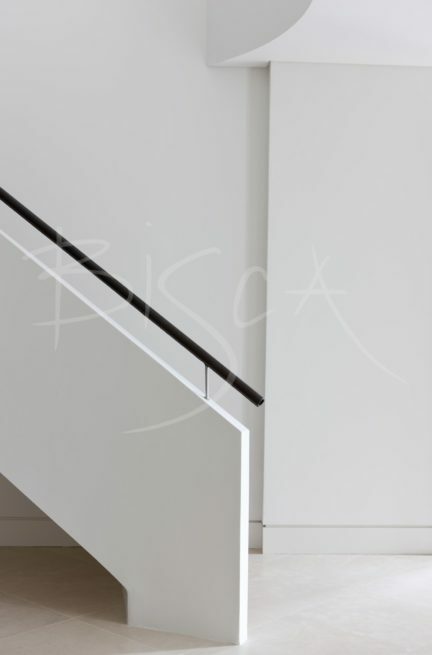 A striking white plaster balustrade runs up the stair and around landing edges. Cantilevered, dark walnut treads contrast with the simplicity of the balustrade. The balustrade itself has a dark Havana leather hand-stitched handrail. The architect on this project was PKS Architects. 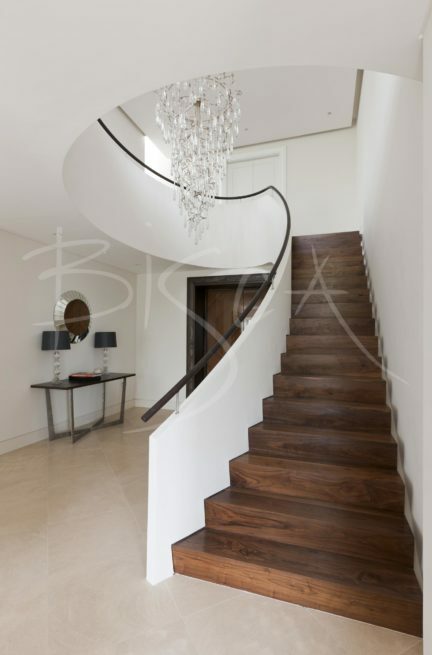 For enquiries about this walnut stair design, please quote reference 3049.